Gaming is about to get a lot more interesting. Ultra, a blockchain-based gaming platform, is set for its public launch by mid-2019. Through its publishing platform and marketplace, the company is hoping to put “an end to the current distribution monopoly by providing new opportunities to game developers, players, and influencers,” according to an Ultra white paper. Early traction supports Ultra’s bold mission. While still in beta, the company has amassed more than 100 million downloads worldwide and is staffed by a growing 30-person team. 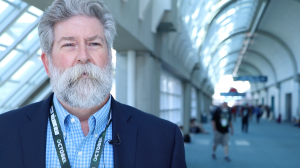 I caught up with Mike Dunn, the company’s Chief Technology Officer, at this past summer’s San Diego Comic-Con to learn more about his role with Ultra. Mike joined founders Nicolas Gilot and David Hanson about eight months ago — as part of an expansion of the executive team. Nicolas and David previously worked on Xiaobawang, a game console and studio hybrid that was later sold to Chinese software company Kingsoft. Mike is leading a team of developers to build Ultra’s architecture and engineering stacks. “We’re starting with a modern tech stack that is standards-based,” he says. Building from the ground up with cutting-edge technology is a welcome change for the seasoned tech executive who has previously worked with Dell and Time Warner. “I’ve had to do that where you go in and take a legacy, monolithic platform and try to innovate, and it’s really a rip and replace,” he says. Ultra has its own form of cryptocurrency — UTA coins — which will allow gamers and developers to connect on an unprecedented level. Using UTA, independent developers looking to affordably promote their games can make microtransactions to directly compensate gamers for watching ads, beta testing a game, or participating in market studies. Players can then use the coins to purchase virtual items and new games, keeping their gaming habit affordable. Another appeal of Ultra: developers will enjoy more cash in their pockets. While industry leader Steam takes 30 percent of revenue for facilitating sales, Ultra will take a smaller percentage to give indie developers at least 50 percent more revenue than competing platforms. The crypto-based structure should help with that, as will players’ ability to sell second-hand digital games and items and buy new products with their earnings. “It opens up a ton of opportunity for a more of an open marketplace than the somewhat monopolized, closed distribution platforms that are out there right now,” says Mike. Steam’s platform is known for having millions of games, but a sizable number have never even been played. There’s just too much noise, Mike says, and getting through it all costs game developers dearly. Beyond discoverability, piracy is another issue. 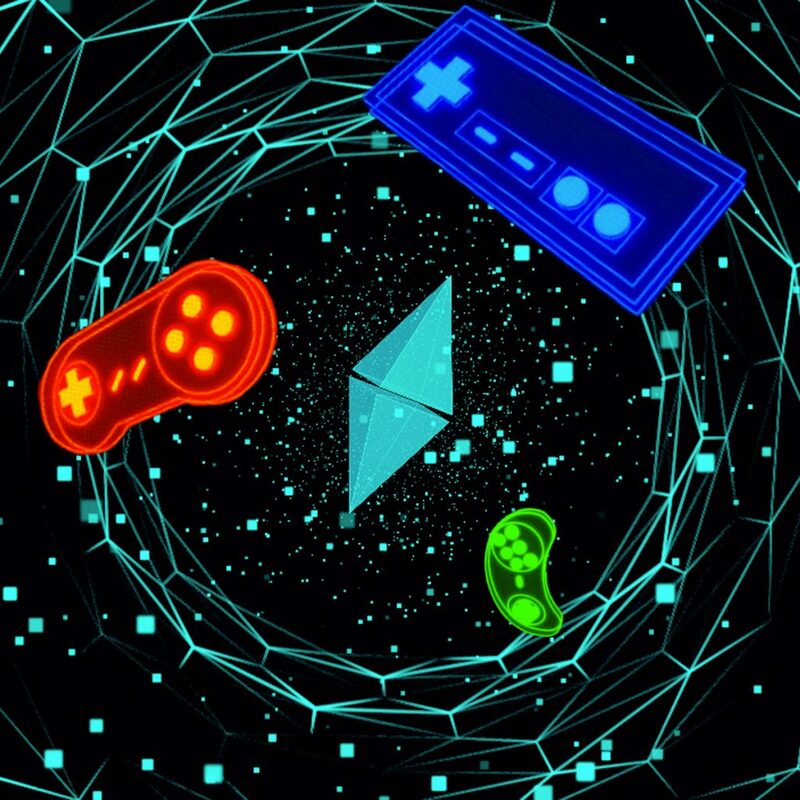 Each game transaction on the platform will be made through a smart contract, which automates sales and publicly verifies the sale of a single game to a single buyer. This protects copyrights, helps developers maintain control of their intellectual property, and ensures they get the money they’re owed. Ultra wants to create more earning opportunities for developers. Outside of Ultra’s blockchain, developers will also see built-in clubs, forums, newsletters, and chats dedicated to each game, along with marketing tools and the ability to introduce in-game ads. For Mike and the Ultra team, that’s just the start. They’re counting on creators to point out areas that need more emphasis and looking forward to the challenge of creating a responsive network that gives developers and gamers alike a community that truly meets their needs. “If you can create a viable, good solution that’s beneficial for people that are looking to have an entertainment experience — whether it’s watching a movie, or playing a video game, or listening to podcasts or music or whatever — you’re going to get people that are going to be very passionate about what you’re providing for them,” he says.